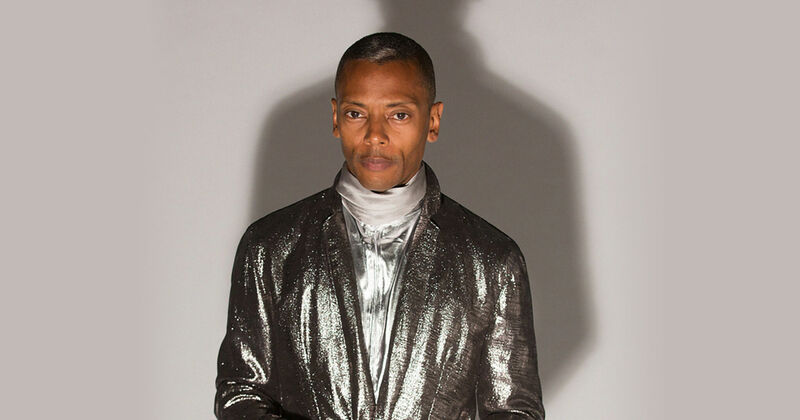 After almost 30 years away from radio, Jeff Mills has returned to the airwaves with a new show on NTS called “The Outer Limits”. The six-episode radio series will run over the course of 2018 and see the Detroit legend composing entirely new music for every episode, alongside writing the narration, conducting research with assistance from NASA and collaborating with musicians around the world. The all-encompassing nature of the work—equal parts musical, sci-fi theatre and documentary—showcases Mills at the height of his speculative and compositional powers. Telekom Electronic Beats caught up with the musician in the midst of preparing the second episode to learn more about his approach to creating the series and how it might help inform humanity about its future. You hosted a radio show during the ‘80s. What was the nature of your show and what made you want to return to the medium? I had a mix program in the ‘80s that was syndicated across the country. It was mainly dance music, house music, hip-hop; basically, street music. I was very young, but I realized that if I failed to make the shows interesting, people would tune out and go to the competition. So I learned how to make the shows more conceptual. Certain shows would have certain themes and I would research music to be able to address particular subjects. Already in the early ‘80s, I was learning to use music in very strategic ways. I stopped the show around 1989 but I always thought I might get back into radio at some point if I had something really good to do with music. Around five or six years ago, I was asked to audition at the BBC in London for a radio show, and I suggested I could produce new music every episode for a show around a topic, almost like a TV series. Maybe they thought it wasn’t possible that I could make all the music for a one-hour or a two-hour program, but I was making albums like every three months anyway. I think they were looking for more of a Pete Tong type show. I was then invited to do a guest program on Radio 1, and I presented them with an idea about a trip to Mars which caught the ear of the people at NTS. It had to be something that spoke to how it’s now possible to produce all new music for a program and not just play releases from other people, but also, that this would be more than an album. It could be informative. NASA then came along to collaborate on the scientific data. The formula is there, and now it really just depends on me finding a way to translate these dreams into reality. Where are you in the course of programming the episodes? I’m currently producing the next episode – writing the script and producing some of the music for the end of the show. I’m also setting up all the production for the soloists. For the past few days, I’ve been doing research for the narration. My table is full of books about the moon. I’ve been reading books on astronauts’ accounts, as well as some poetic and spiritual reflections. I’ve also been researching the moon’s geology, like its physical makeup and its craters. From this, I will sit down and write a script and then turn to the music and relate it to the information. In the episodes, you’re not only composing music but presenting information based on a research method. Is research a new element of production for you? I tend to research when I am working on albums, whether for writing texts about the story or for gathering images. For this program, I’m doing everything. It’s a lot of work for one hour, but it’s better I do it myself so I can be sure the episode is told in a way that best relates to the music. Then I can sit down with the guest musicians and explain my intentions. I did the same for the episode on black holes: I found out as much information as possible, translated different theories into what the sound could be like and then conceived of how we can work together to create a feeling. Working with NASA to get information has helped greatly. The shows are designed to illuminate, in one way or another, a subject—sometimes literally, sometimes indirectly—and to use the feeling of music to be able to translate that. That is the main principle of the show: to give listeners something to think about. Working in an unrestricted way gives me more possibilities to do that. It takes from my musical experience, my affiliation with science fiction and my DJing background. It takes a whole host of things to be able to produce and work in this way. It does seem that the radio format—the incorporation of text, sound, concept and a theatrical element—tends to involve a more “total” notion of music. Definitely. I also have to consider extra aspects, especially from the listener’s perspective. So every three minutes—which is on average when people expect something exciting to happen—something has to happen. I had to really think very hard about how that experience can be affected in different ways by putting things far away and in depth, or by putting things drier and closer to the ear. I also had to think about the space in between sounds. This would be the dramaturgical aspect. I think one has to have an exotic imagination to be able to piece something like this together. When I’m sitting down writing the text, I’m not writing it from a scientist’s point of view—I’m writing it as a normal person, thinking about a very complex subject, something which I take from science fiction. Astrophysicists don’t write those stories, but normal people write stories for other people to read. I take that approach for this show. There is a certain kind of open-endedness to the project and it’s interesting to have some type of creative platform with which to address developments in the scientific community as they happen. In structuring the first episode around five meditations on the nature of black holes, you opted for a speculative, rather than a strictly factoid-style show. Exactly. The next episode will be even more speculative. I’m choosing to take a very abstract perspective on an Apollo mission. I am purposely choosing not to explain it in documentary form. You don’t really know what’s happening on the mission, but you can feel through the music that the astronauts are seeing things that are very beautiful or perplexing. There is one segment where the astronauts have taken off from everything, traveling through the darkness of space towards the moon. That three-day experience is one filled with pure darkness. We’re trying to play that out in the music. The cellist Eric-Maria Couturier is an incredible musician based in Paris. He plays with the Philharmonie regularly and also performs many experimental and abstract works. When it comes to depicting the story of an Apollo mission—taking information and then dissecting it and representing it in a very abstract way—I think he is probably the best I can think of. Time was a recurring theme in the first episode. How does radio time and space time intersect in the making of these works? Someone in my profession has to deal with the subject of time constantly and use it as best as possible. If what you do in time is done correctly, you begin to understand how effective one can be with what one hears, with what one sees, with what one does. That helps greatly in producing a show like this. I have learned through DJing and music what can be said in a certain amount of time to imply or give inflection to a particular subject. A few years ago, I started researching the creation of time and discovered some really interesting things, like the history of the clock. I had a realization that time—this wristwatch that you wear—can become like a leash. I thought that time as a narrative device in these episodes could be a release from the 24-hour clock, and that you could feel a certain freedom by listening to these segments. So I produced a lot of music with wild time signatures and where the sense of time is really manipulated: time speeds up, it slows down, it jumps from here to there. In the process of listening, you never know what time it really is, and I found it to be quite liberating. When I listened back to the first show, I felt kind of refreshed to be able to hear something on radio corresponding to an idea of unstable, unsettled time. On Earth, we have sunsets and sunrises that keep our sense of time settled. But we can’t deal with things in outer space the same way. Time is different there. I really didn’t have much of a choice but to manipulate time to be able to address the subject. It almost feels like there is a third improviser: yourself, your collaborators and the subject matter itself. Yes, like a news program and a news reader, but in a different way. I think music should be danceable, that it should be enjoyable, but that it should also be able to expose very important things that apply to all of us. Us producers and DJs should take it upon ourselves—not all the time, but some of the time—to use our skill to inform people of things that might help them understand something better. What can we expect from the subsequent episodes? Are you still working the themes out? I have given thought to three. The second one is Apollo 18 and the exploration of the Icon Basin in particular, which is a very large crater in the southern hemisphere of the moon. The third one is about star people and how the stars have been reference points for information and worship, and how people use the formation of the stars in art, music, agriculture and writing. I’m not quite sure how to place it yet, but there’s also an episode about the dreams of Nicholas Tesla and Albert Einstein. What were they thinking about at the end of their lives? What did they leave on their desks? What were they contemplating? What if those ideas, those dreams, had materialized, and how would they have given insight into what our future holds? Check out “The Outer Limits” on NTS’s website here.